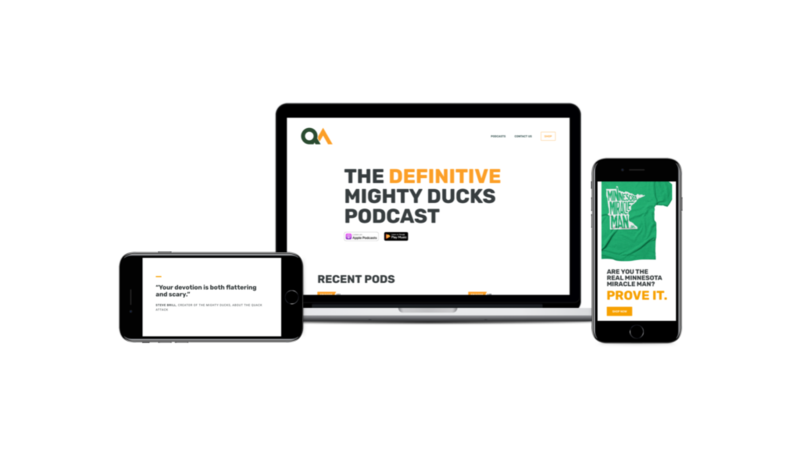 The Quack Attack Podcast is the definitive source for everything relating to The Mighty Ducks film franchise. No, seriously. The Quack Attack is a labor of love, and I was tasked to redesign the website, complete all the front-end development and integrate it with WordPress. The site is fully responsive and provides all Mighty Ducks fans with exactly what they need. I designed and built the site using the Genesis WordPress Framework. I was (and continue to be) responsible for all design and development.